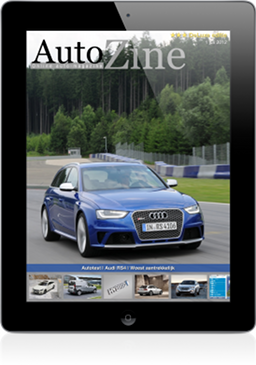 The Autozine iPad app is a car magazine on your iPad. Unlike printed magazines the content can be taylor made. Using the search engine all reviews from the vast archive are available in a gorgeous magazine layout. Monthly or weekly downloading of new issues is not required. As soon as news items or new road tests are available they appear on the app. 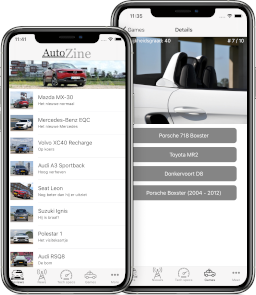 The Autozine iPhone app is the Swiss army knife amongst car apps. Not only does it present the latest reviews and news on your device, it also has a database of specs and prices of all cars on the market. The Autozine app challenges the true car buff. Recognize exotic cars, recognize cars by just a detail or recognize cars in a split second. The Android app runs on any device: phone, tablet, game console or SmartTV! All road tests are now available on your favourite device. 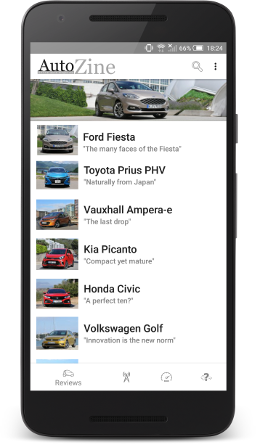 The Android app also has a database of all specs and prices of all cars on the market. The Autozine app also offers games for true car buffs. Recognise exotic cars or recognise a car by just the smallest detail.